An international team, including the Centro Nacional de Investigación sobre la Evolución Humana (CENIEH), has recently published a paper in the journal Quaternary Geochronology on the first direct dating of the Quaternary fluvial deposits of three main river basins of the eastern Cantabrian margin, whose results contribute to reconstructing how these basins have evolved over the last 400,000 years. 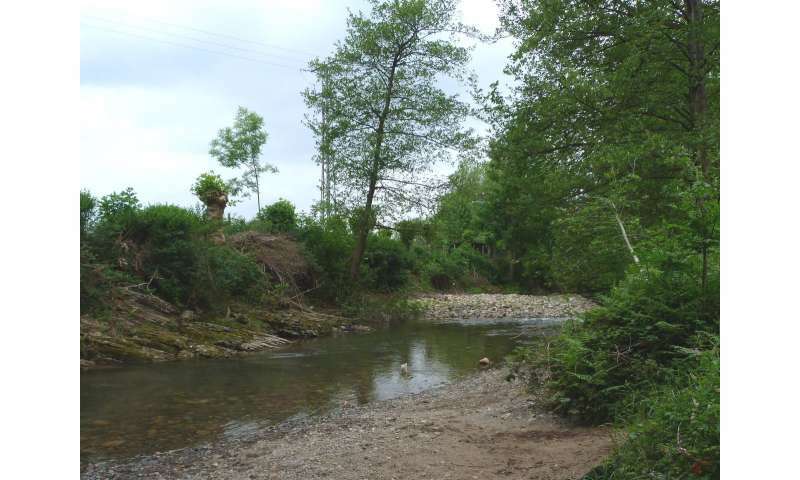 Quartz grains extracted from sediment samples collected in the valleys of the rivers Nerbioi (in Bizkaia), Deba and Oiartzun (both in Gipuzkoa), were dated using two complementary methods: Luminescence (OSL) and Electron Spin Resonance (ESR). With the results obtained, which yield ages of between 140,000 and 400,000 years for the fluvial terraces situated between 10 and 25 meters above the current channel, it has been possible to establish a preliminary chronostratigraphic framework for the Quaternary fluvial deposits of these Cantabrian valleys. The dating work, performed at laboratories of the CENIEH and the University of Sheffield, has made it possible to infer that the fluvial evolution of the zone has been controlled by climate, with the alternation of relatively humid and arid climatic cycles which would have triggered erosive (fluvial incision) or agradational (fluvial deposition) processes over time. "In line with recent similar work centering on other river basins such as those of the Miño in Galicia and the Moulouya in Morocco, these results show again the importance of combining different methods for reliable dating of Quaternary fluvial deposits," comments Miren del Val, lead author of the study, who works at the Luminescence Laboratory of the CENIEH. The success of this study was made possible thanks to the collaboration of a multidisciplinary team made up of geologists and geochronologists from several Spanish institutions (Universidad del País Vasco, UPV/EHU, the CENIEH and Universidad de Burgos, UBU) and international ones (Griffith University in Australia, and University of Sheffield in the United Kingdom). This paper, titled "First chronostratigraphic framework of fluvial terrace systems in the eastern Cantabrian margin (Bay of Biscay, Spain)," helps to mitigate the scarcity of fluvial studies in the zone which could contribute to better understanding of the fluvial dynamics of the eastern Cantabrian region.